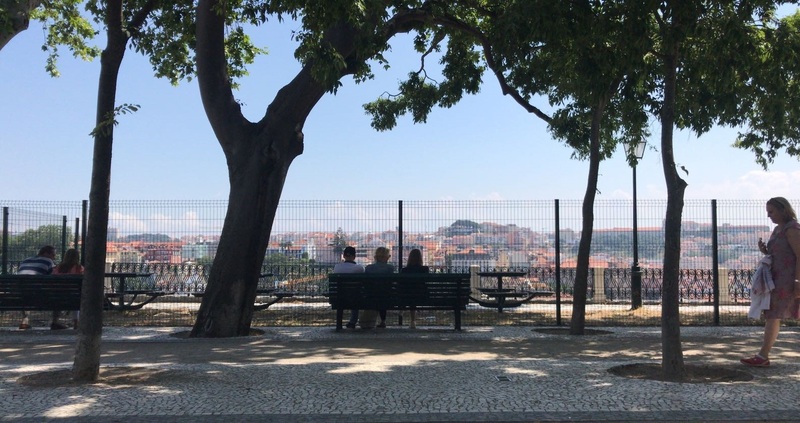 Planning a short trip to Lisbon? My inside (cheap) tips and trip ideas! 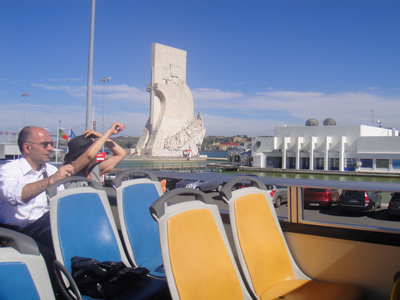 ‘Hop on and hop off’ open-topped double decker bus tours are a popular way for tourists to view Lisbon city. 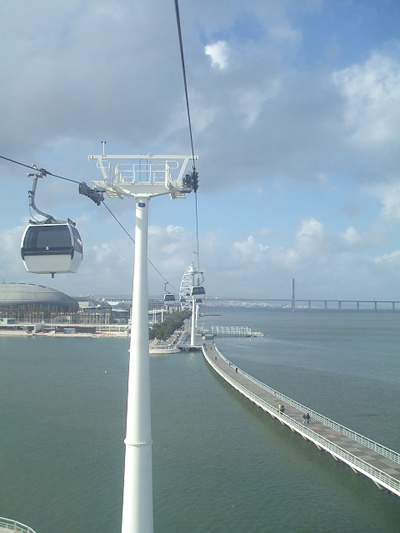 The “River Tagus tour” offer you the the opportunity to view the areas in which most of its monuments may be found, such as the crown jewels of the Portuguese architecture in Belém. 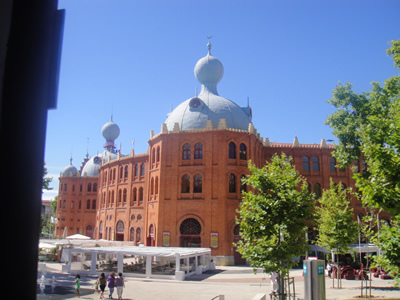 This square is also the starting point for a ‘hop on hop off” historical ‘Red tramcar tour (the ‘ 7 Colinas‘ hills) route . The ‘Carristur’ company has faithfully restored the interior of the trams dating from the thirthies and fourties, preserving their charm and original character. Ticket € 18, children (4-10) € 9, Lisboa card reduction € 13,50″. This beautiful park is not worth a visit for itself, but the view from here is wonderful! Fabulous blue sky and light, and the Tagus river in the background. Situated right in the middle of the city, close to Avenida da Liberdade, a lovely and luxury shopping ‘avenue’, the Portuguese equivalent of the Champs Elysees in Paris. Brands like Luis Vuitton, Emporio Armani and Escada fashionable boutiques. How to get there? A wonderful idea for a trip to the other side of the river is to take a cheap ferry to Cacilhas, (very good and cheap restaurants!) and a 20 minutes walk along the river to reach the elevator of the famous Cristo Rei statue. 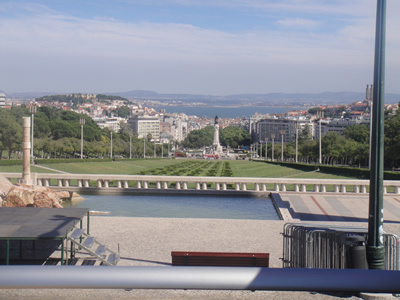 Amazing views on downtown Lisbon! Although most have already been said about this momument (and Belém): this place is definitely a must see! 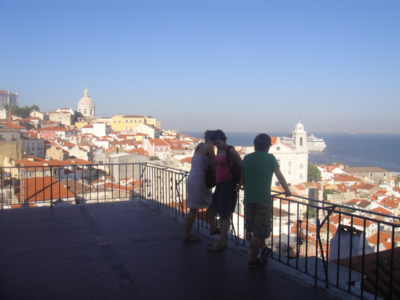 You can go up to the top of the monument (by elevator) where you enjoy wonderful views around, like the mouth of the Tagus river, the April 25 Bridge, the Jerónimos Monastery, as well as the famous Tower Torre de Belem. 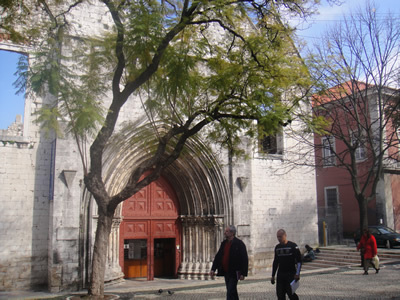 a UNESCO World Heritage Site, one of Lisbon’s most photographed landmarks. All the sights are near each other (more information GoLisbon). 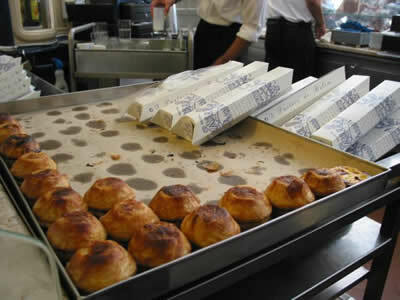 No trip to Lisbon can be called a success without visiting Belém, where Portugal’s Age of Discovery began, and without enjoying a few of Lisbon’s most celebrated custard tarts in the nearby famous Pasteis de Belém, Antiga Confeitaria, Rua de Belém 84-92. 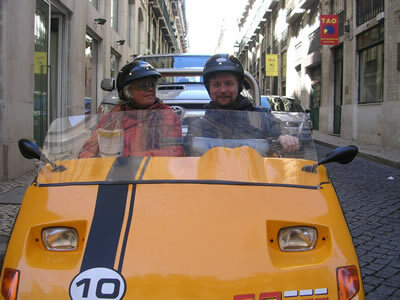 An adventurous idea for a trip to explore Lisbon is to rent a two seater GoCar. 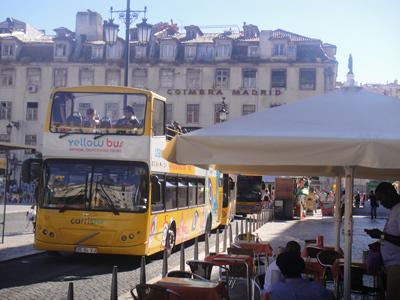 Or join the yellow bus at Praça do Comércio . Official Lisbon yellow tour buses, operated by Carris (Lisbon’s bus public company). Duration tour 1,2 hours. 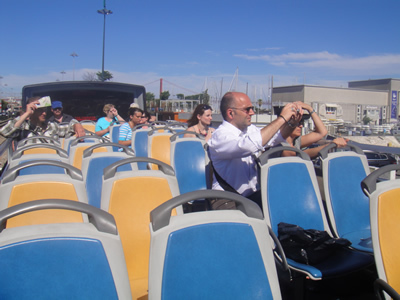 Departures hop on buses: every 30 minutes to join the River Tagus Tour or Olisipo Tour : you can visit the most important museums, have fun at Parque das Nações, the leisure area of Lisbon, especially for children, or visit the ZOO. 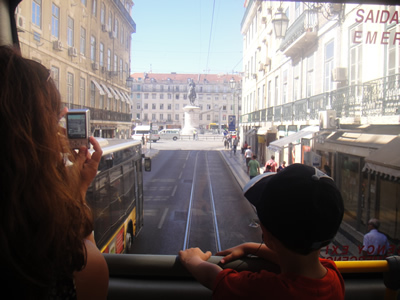 Your ‘hop on hop off’ ticket is also valid on trams, the famous Santa Justa Lift to reach the wonderful Largo do Carmo, my favorite square in Lisbon), funiculars and public buses during 24h. Adult € 15, children (4-10) € 7,50. Lisboa Card € 11. A cheaper way from the city center to g0 to Belém is by getting tram 15 (from Praça da Figueira (watch out for pickpockets!) 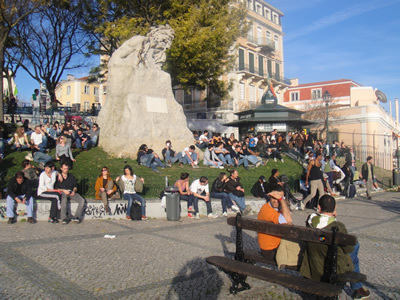 and from Praça do Comércio ), or by train from Cais de Sodré on the Cascais Line; get out at Belém station. 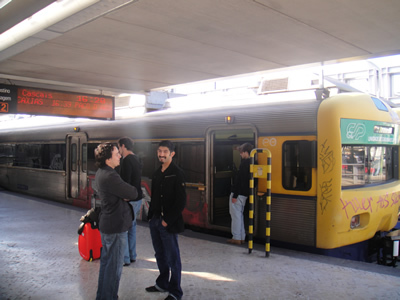 All the trains pass through Belém, but not all of them stop there. 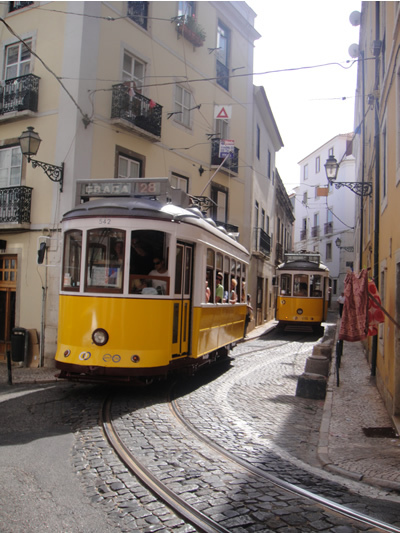 If you wanna get a good impression of the historical city of Lisbon, a very good and cheap idea is taking this typical little trolley, ‘elétrico 28′. This legendary tram 28 is a tourist attraction in itself. It goes all around town. Of course you can hop on and hop off. These small yellow trams are extremely old and funny, they go up and down through the narrow streets of Lisbon. The electric tram No. 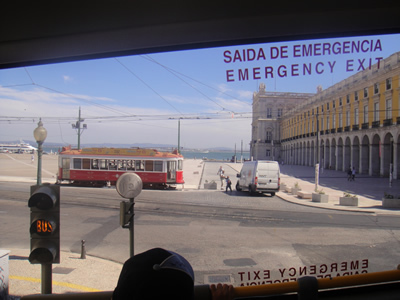 28 departs from Largo Martim Moniz in Lisbon’s historical heart. 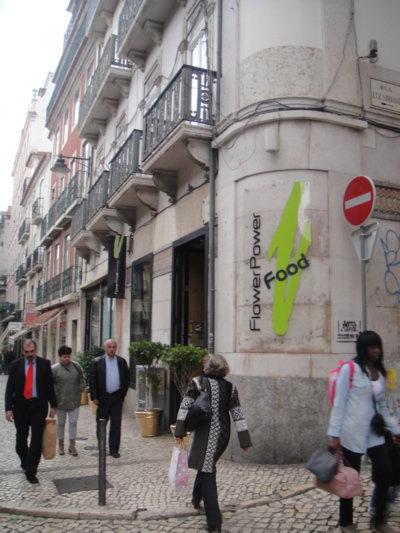 Lunch idea: trendy hotspot in the legendary Bairro Alto area ‘FlowerPower’ , café/restaurant . 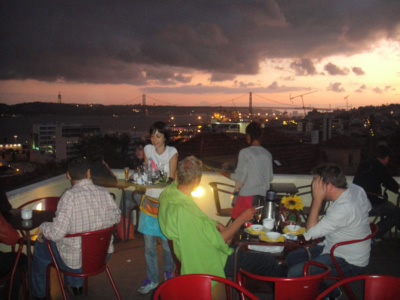 Nearby Bairro Alto: trendy cafe/restaurant (also open for lunch) Noobai, amazing river Tagus views! Certainly one of the favorite places of many Lisbon locals and visitors of the city. Relaxed ambience and very nice people! 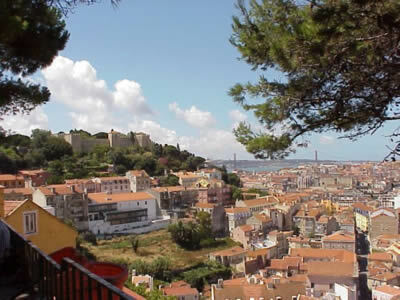 Nearby ‘Adamastor’ is a popular viewpoint (miradouro) and gathering place in Lisbon. 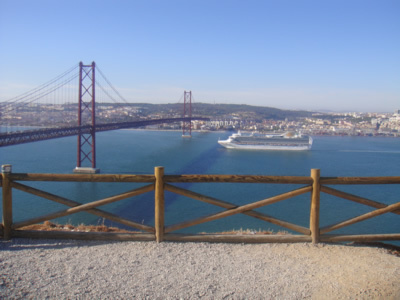 From this vista point you have the most breathtaking views on the Tagus river, the 25th of April Bridge and the Cristo Rei monument. The Moorish influence in Lisbon is still present, like the lovely designed old kiosks serving old-fashioned Portuguese refreshments and snacks. 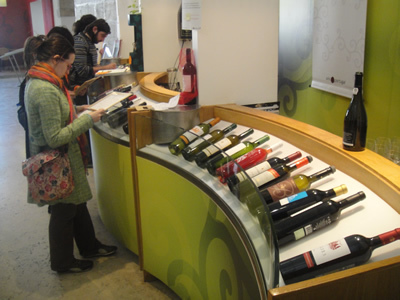 More about kiosks near beautiful viewpoints, favorite tourist attractions, some recommended restaurants and how to get there. 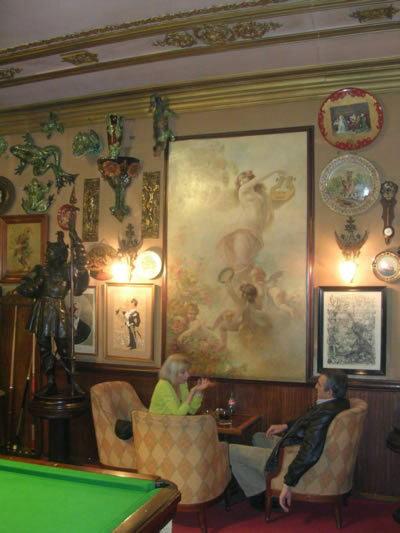 Going out & nightlife in Lisbon: 1900s ‘one of a kind’ bar Pavilhão Chines close to the legendary Bairro Alto area. 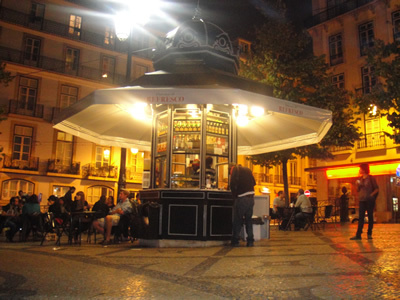 One of the most interesting bars I’ve ever seen and a good start to Lisbon’s nightlife. 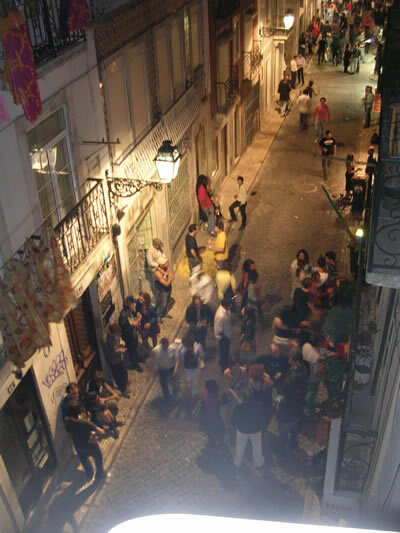 ‘A Capela’ is one of the most popular bars in Lisbon’s heart of funky bars and restaurants. Thank you so very much; we’re headed to Lisbon & yours is such a generous and informative comment.